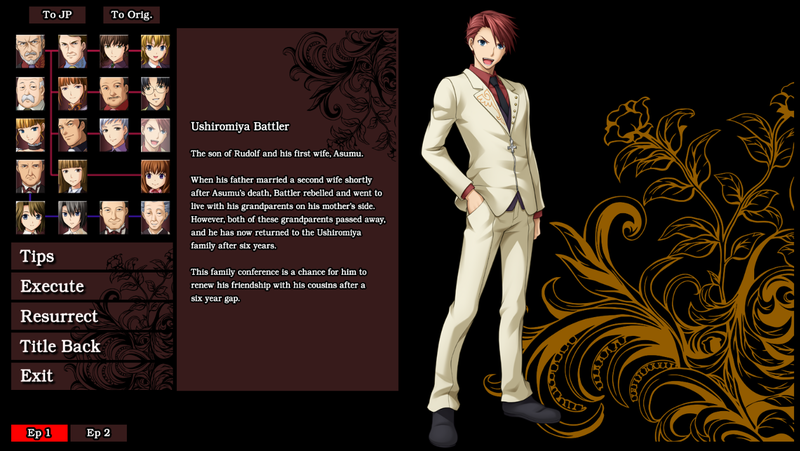 Battler Ushiromiya is the protagonist of the Umineko no Naku Koro ni series. 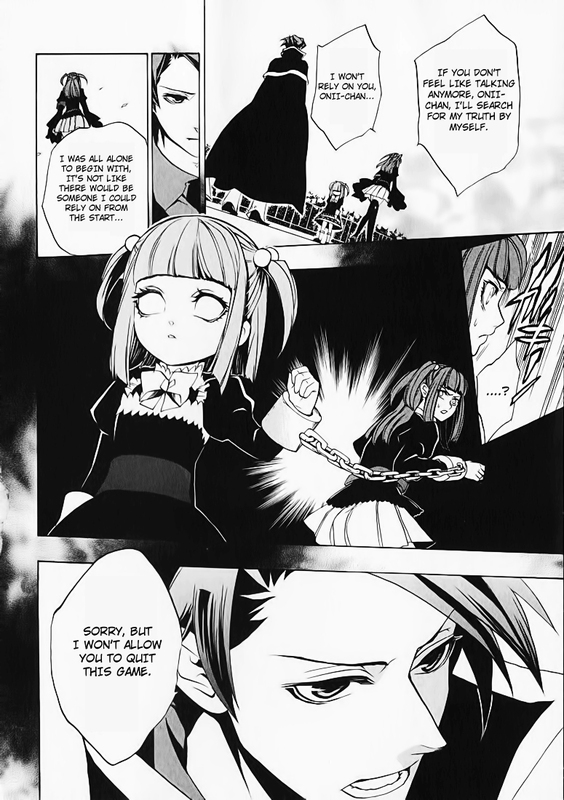 Much of the series follows his battle with Beatrice in which he attempts to prove that the murders on Rokkenjima, of which he himself is a victim, could be committed by humans. 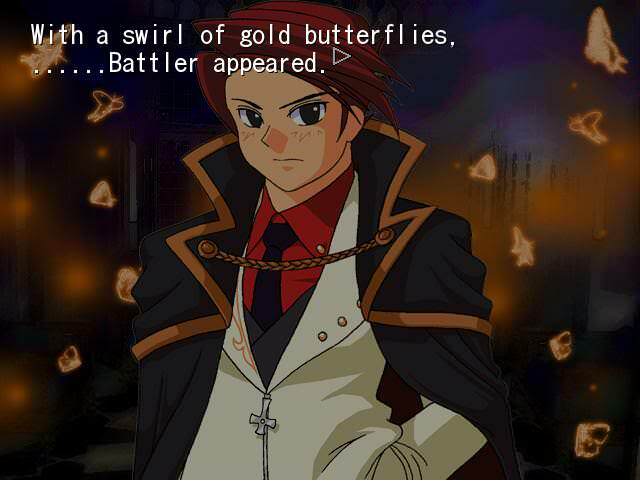 Battler is stubborn and doesn't believe in magic, preventing everyone from entering the Golden Land, during the events of Legend of the Golden Witch. 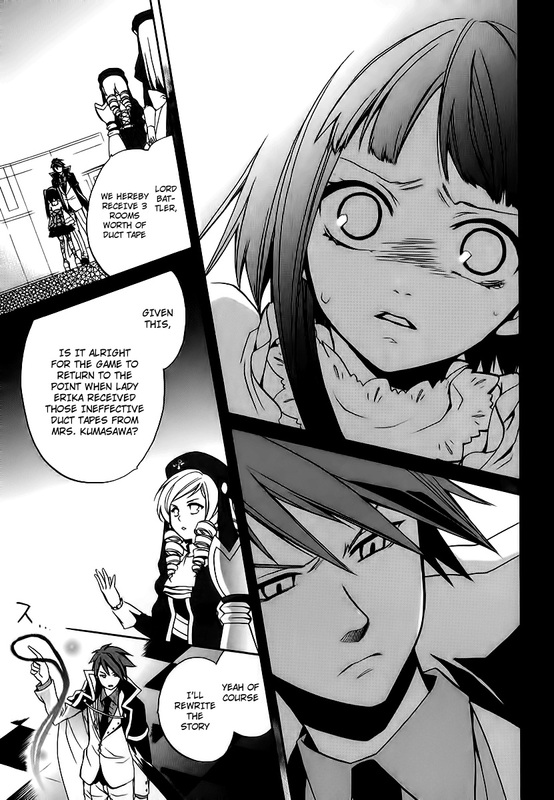 While Beatrice vows to show Battler the errors of his ways, Battler vows to crush her; thus, beginning the fight between them. Along the way, new foes and allies enter the fray and, soon, Battler finds himself fighting over something even more precious: the truth behind Beatrice herself and the world she created. Umineko ni Naku Koro Ni Manga Volumes 1 - 8. 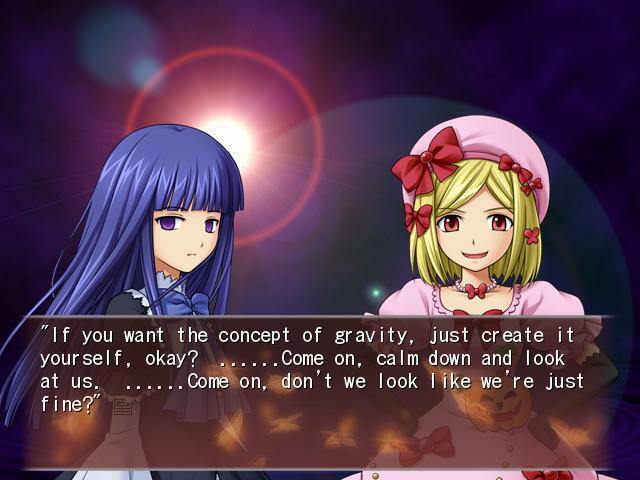 Umineko is tiered by levels of existence. Occasionally these are referred to as "dimension" but more with the understanding that dimension equates to plane. Those levels of existence were comparable to an infinite ladder. Low on these levels are game boards. Parallel worlds converge through them, as shown by the Episode 6 gameboard residing in the meta-world, prepared beforehand. Above the game boards, there's the Meta-World and other lower Worlds. All of this only encompasses a CatBox, a Fragment, or a Book. Above this is the Sea of Fragments, an endless sea where Fragments are located. 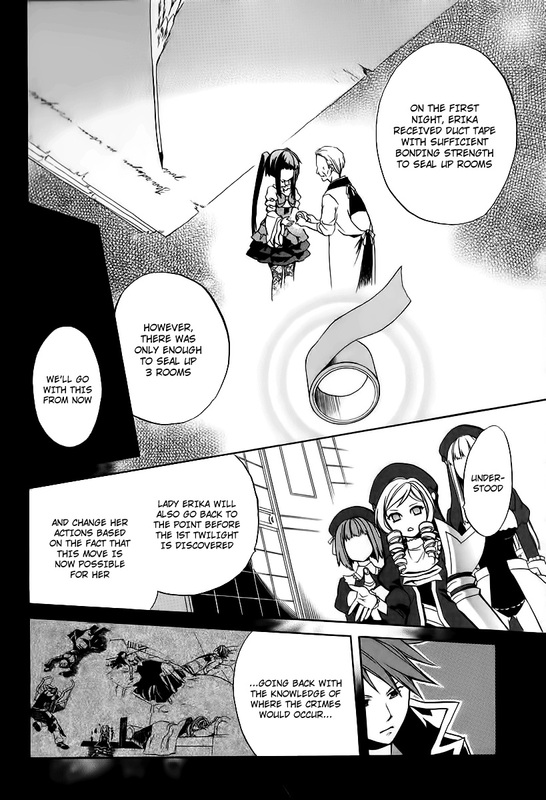 Those Fragments, or Kakera, are fragments of light that represents infinite parallel universes with endless possibilities and they came into various shapes and forms, such as books or crystals with different contents (some contain a universe, others a multiverse or even more). Voyager Witches constantly travel across the infinite Sea to find a Fragment to escape their boredom. 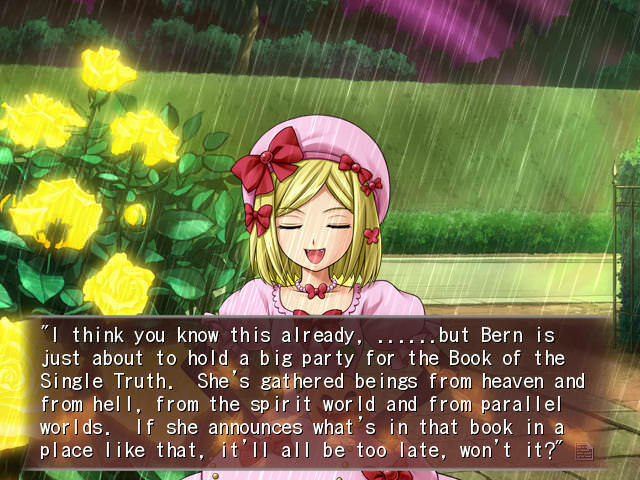 There are more locations in the Sea or above it, like Heaven, Hell, Aurora's Study, future worlds, etc., but the most important is The City of Books, one the highest known level of existence in Umineko (there's hinted to be levels higher than the City, like the Realm of the Creator, or a higher world which the witch Featherine Augustus Aurora has access to it). The City of Books is a place where countless Fragments are stored as Books. 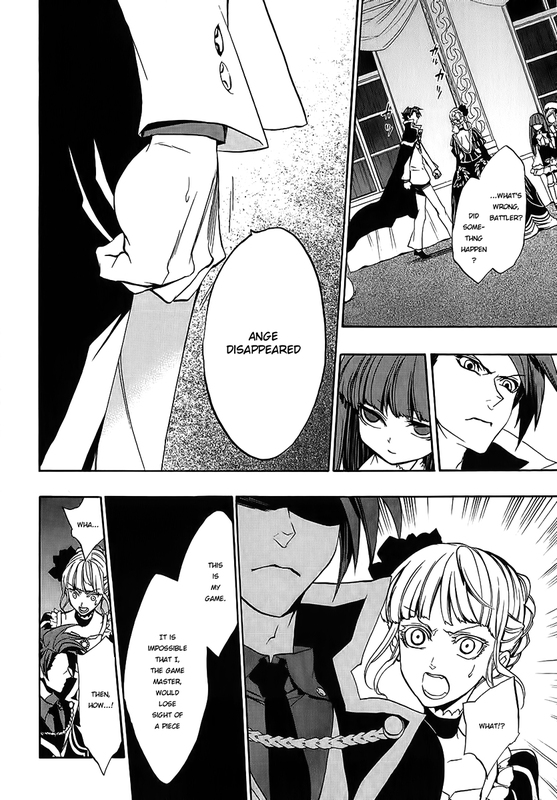 The entire story of Umineko is noted to barely amount to a single book in the City, if that. Territory Lords: Witch/Sorcerer who are creators and rulers of a territory, as such when they stop thinking their territory will vanish, literally. But when they think again, it will simply be created again, this process can be repeated infinitely and it is still even less breathing to them. The Territory Lords are the gods of their Territory, being able to control anything in it, even the narrative. Voyagers: Witches/Sorcerers who are far superior to Territory Lords, they can leave their Territories and travel beyond it, to the infinite Sea of Fragments and worlds higher than it. For them, concepts such as fate can be visualized and manipulated at will (insignificant as weaker beings can do much more impressive thing than this). The Voyagers are commonly known as being one step below Creators. Creators: They are the pinnacle of witches, Omnipotent, Omniscient, and Omnipresent. 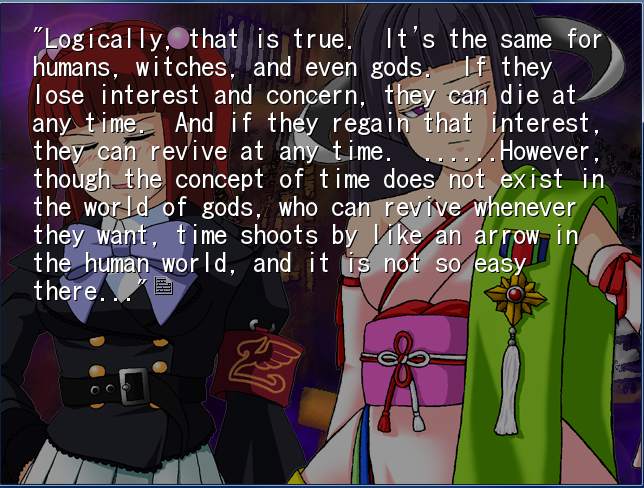 To Witches, they are no different than Gods. But being a Creator has a high price, as the Witch who attains this level would lose every restriction, even the 'self', and become part of The Creator. Featherine Augustus Aurora is the only known Witch to ever touch the Realm of The Creator and become one, and even her isn't fully a Creator. 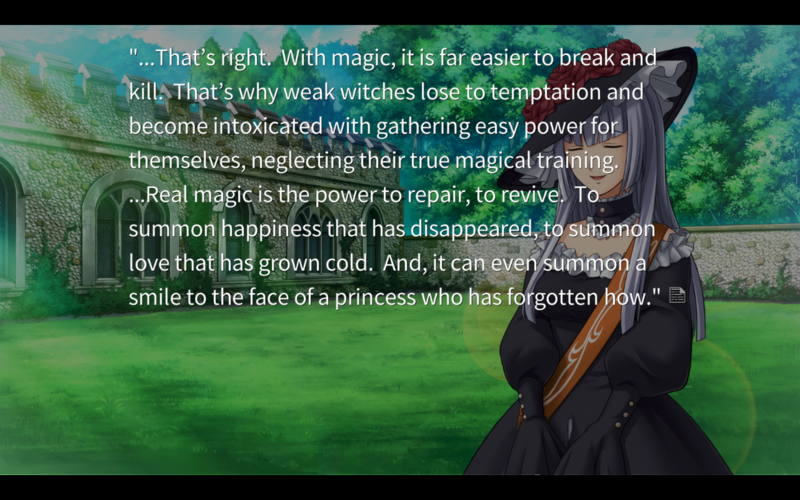 For Witches/Sorcerers is easier to kill and destroy with magic than to create, meaning their power to destroy is at least as good as the one to create. Pieces are the representation of the Territory Lords/Meta-World beings on the Gameboard, like Beatrice's Piece, but can also represent the normal human beings of that Gameboard. Essentially, they are the avatars on the human world of being on a higher level of existence. 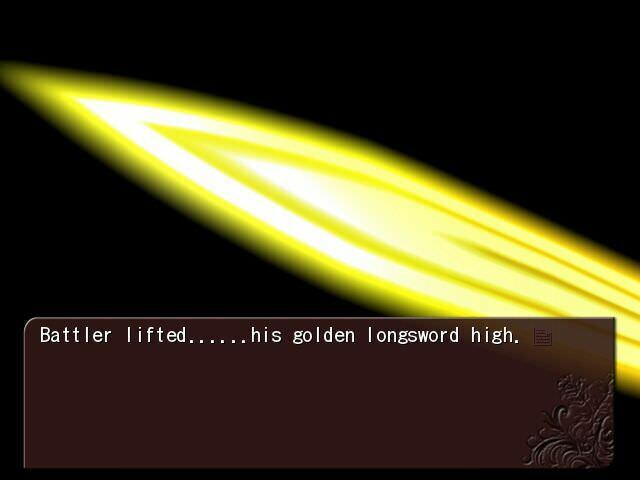 Golden Land is the highest reality of Beato's territory. A higher abstract metaphysical world that exists outside the Gameboard. 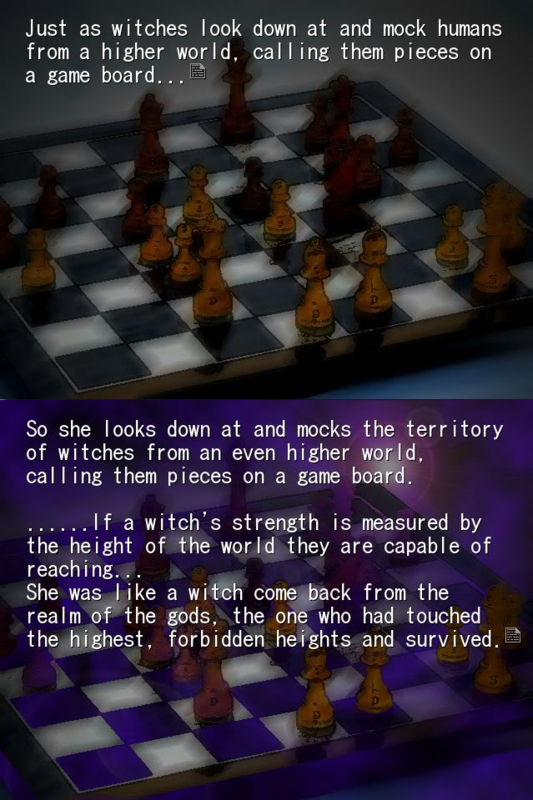 This world is Beato's private realm and from here, she and every other beings here can view all lower worlds as a Chessboard, interact or messing with it at will (by creating their own Gameboard, play it and control the Pieces, decides where to move and if they don't do anything, the Gameboard's reality is forever stopped, for all eternity). 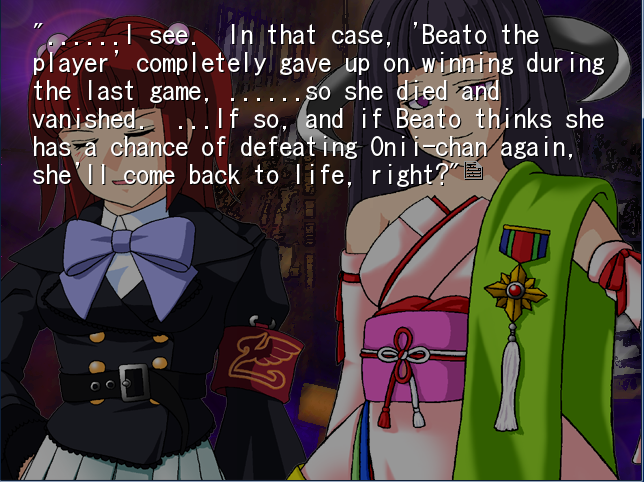 From here, one can appear and travel to anywhere inside Beato's territory at will. Meta-World is the second highest reality. 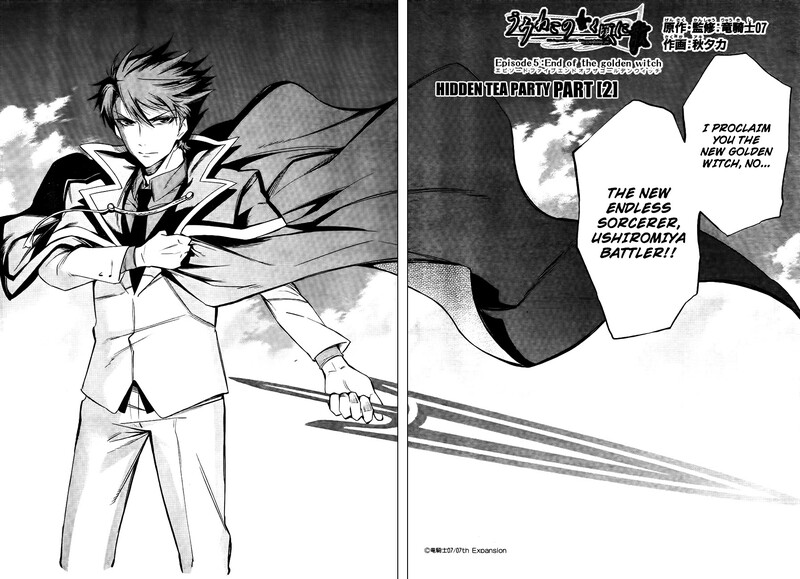 It resembles Rokkenjima at first until revealed by Tsubasa to be much vaster than that. This world is where all Meta-World Beings (or Meta-Beings) reside, it is known for encompassing several metaphysical worlds. In this place, all lower worlds can be viewed as a Chessboard, or they can manifest here in the form a crystal (including Fragments). In this world, concepts are meaningless to Meta-Being (even death and nonexistence). If they stop thinking, they will be die and be erased from existence but that doesn't matter, it is simply a matter of interest and concern to them. 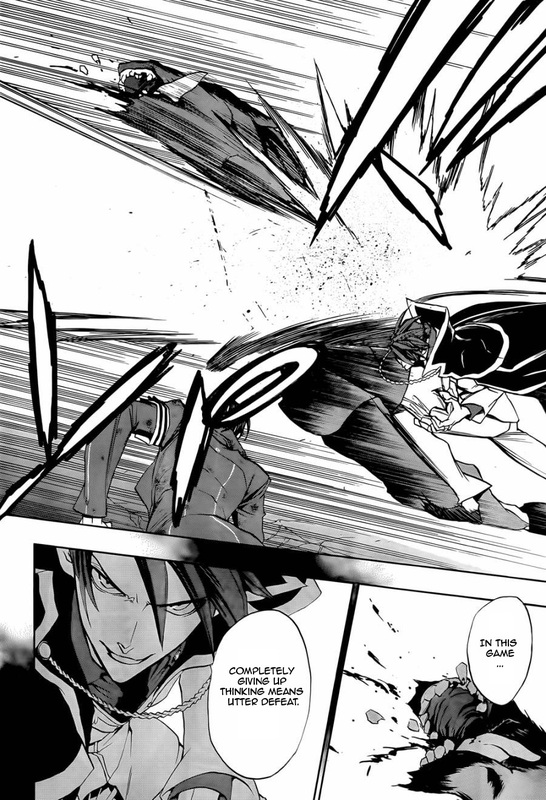 Not even a weapon that negates all concepts upon summoning can do anything to them. 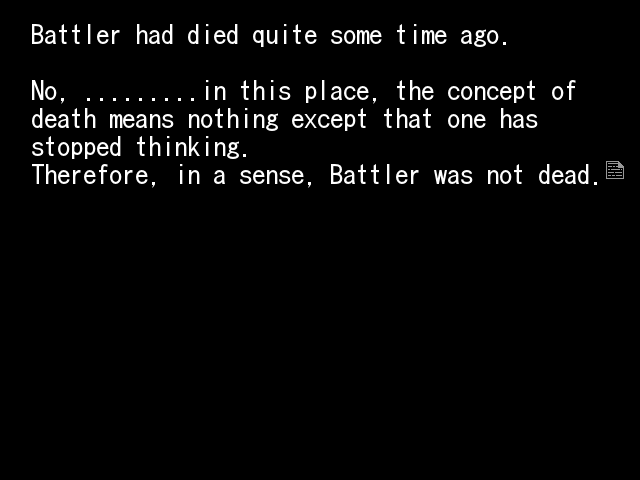 Furthermore, they can create concepts by simply thinking (Battler creates the concept of gravity, for example) and they are so powerful that a single action of them in this world can become reality of endless worlds. Blue Truth: It's used as a theory that works as counter-argument to the opponent's statement. 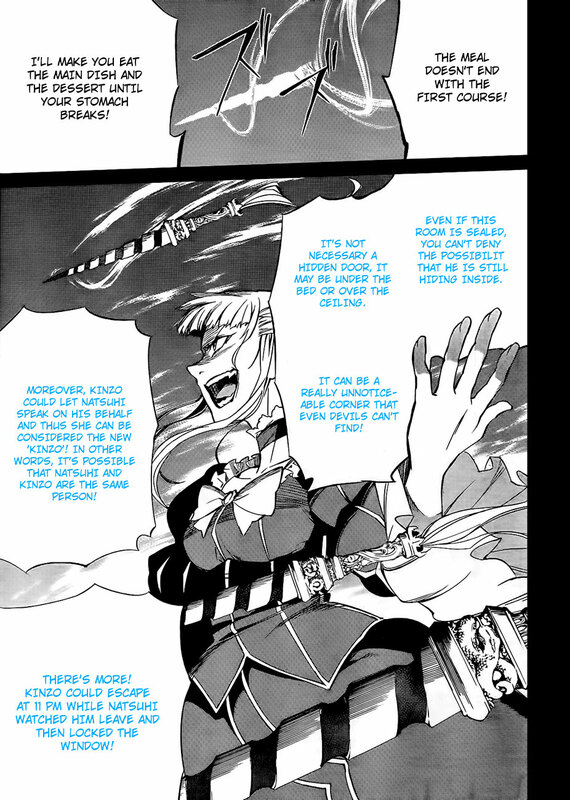 It usually takes the form of a stake that impales the opponent; the opponent cannot remove the stake without countering the Blue Truth's argument using the Red Truth. The Blue Truth must abide by the Red Truth. Red Truth: Anything said in red is an undeniable, absolute truth, and does not need to be backed up by proof, although it is impossible to lie using the Red Truth. However, a Red Truth can be interpreted in many different ways. Golden Truth: An unique truth that can only be used by the Game Master. This truth works similarly to the Red Truth, and is equal in power - depending on the scenario, it can be stronger or weaker. When it is superior, it can easily deny even the Red Truth. 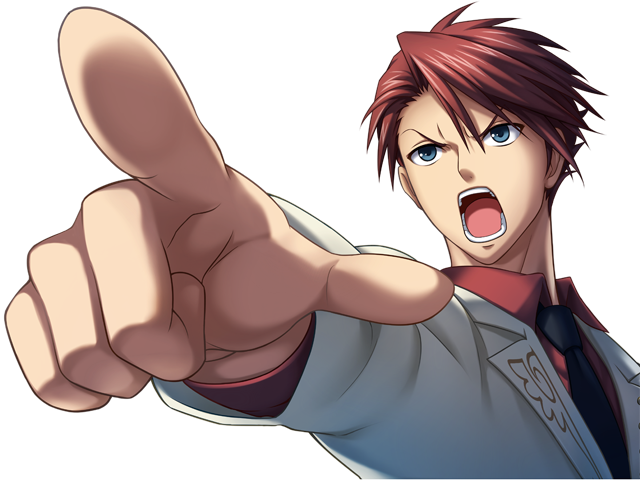 Battler's use of the Golden Truth demonstrates that he fully understands the rules of the game. His Meta-World counterpart, and has the ability to control his piece on the gameboard. His piece on the game board is human and unaware of the Meta-World, so it acts as an ordinary human of his age would. The Red Key that impaled him turned gold due to Beato's sacrifice and his new knowledge of the truth. 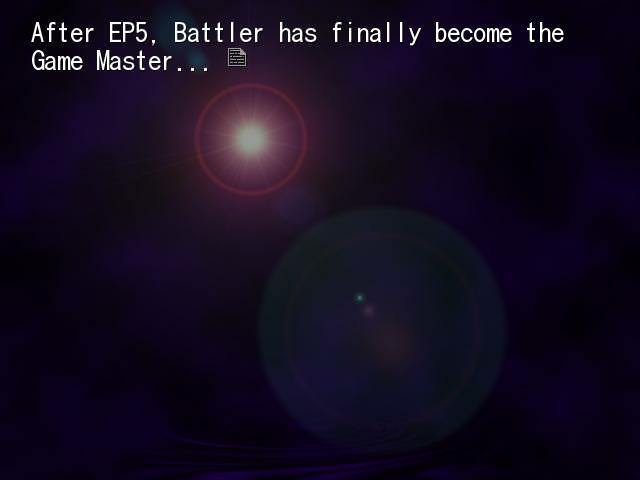 Now it recognizes Battler as its master and shares the same properties of the Red Key. Through this, the Golden Longsword denies all concepts of evasion, escape, defense, buying time, and deals conceptual damage that denies the existence of its target. 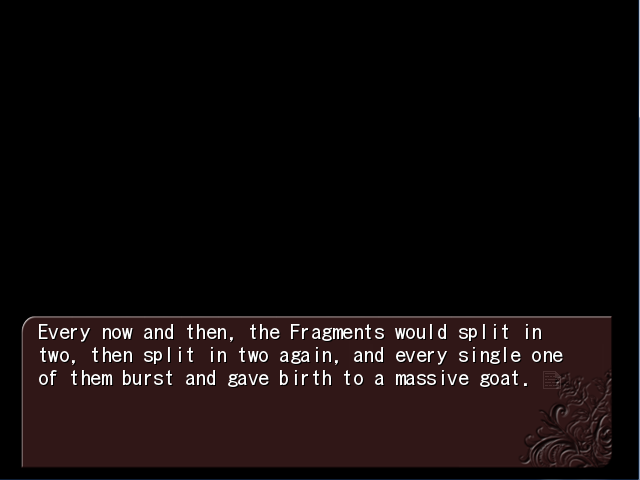 The Goats are powerful enough that just them coming into existence destroyed their original fragments. The Goats are also able to 'eat' the entire CatBox, which is an infinite multiverse. 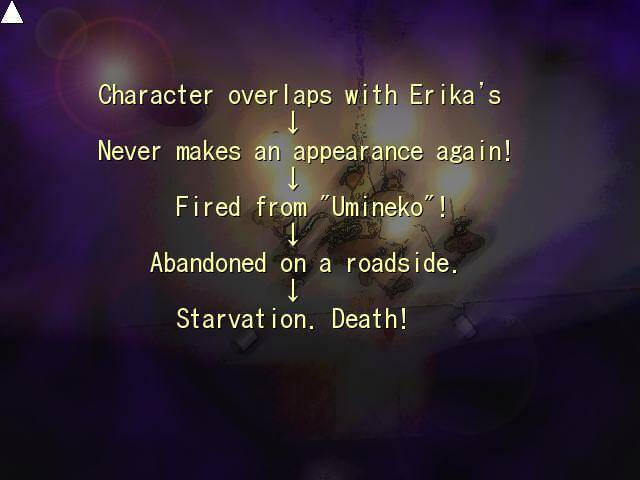 As the GM, Battler can "kick" anyone out of the "story", the result is either that particular character must find a job/role in other "stories" or die starving on the street. 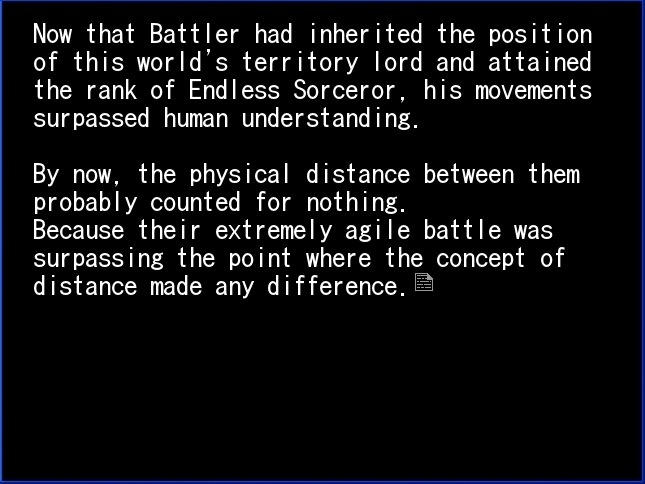 Endless Nine: A barrier formed because of Battler refusing to acknowledge the existence of the supernatural. Endless Nine grants him conceptual immunity to magic attacks. Magic resistance is scaled from 1-9; 1 being the weakest and 9 being complete immunity. Because of the Endless Magic, he can multiply the immunity to infinity (i.e. Endless Nine). The Endless Nine allows Battler to no-sell spells of Featherine's guards, The Overlord Cats. Each spell displays the beginning and the end of a universe. All of the spells were done on the level of the City of Books, so they are much, much stronger than normal Big Bangs and Big Crunches, if that makes sense. 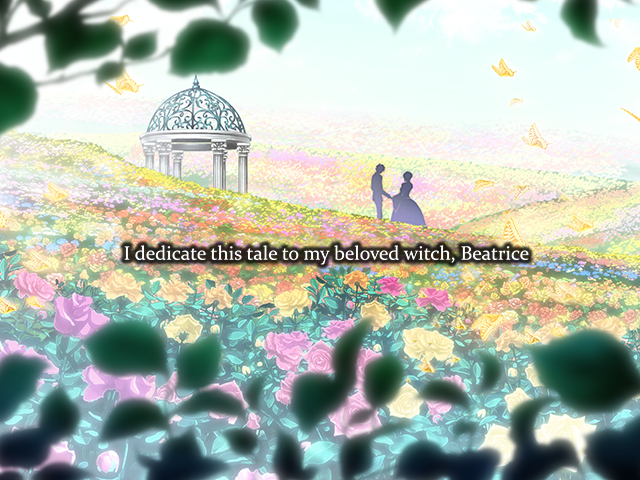 "I dedicate this tale to my beloved witch, Beatrice." Does that mean it's pretty much GG for any non Living Tribunal level character? @kilgpmktra: Yeah, pretty much. 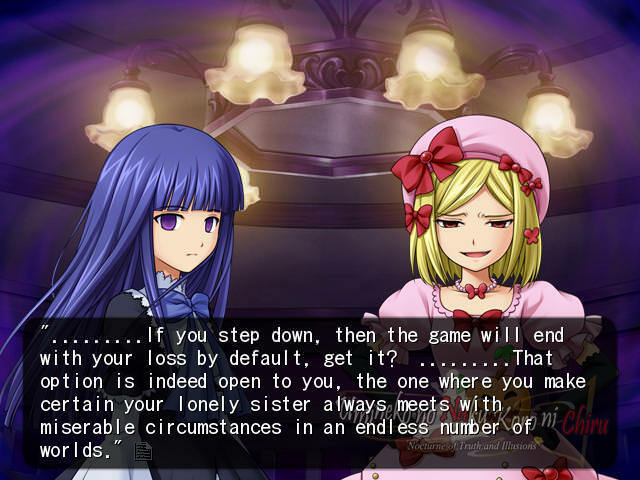 Maybe even a level higher, as the Overlord Cats have the same rank as Bernkastel, though she's stronger and could bypass his Endless Nine. Also, the Theory Goats also have Endless Nine.